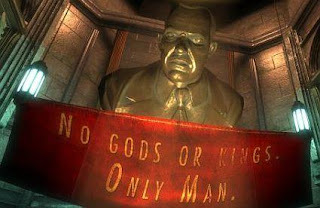 BioShock, 2K Games' smash hit first-person shooter that tries your personal ethics as much as it tests your aim, is now coming to mobile phones courtesy of Indiagames. The reveal came at the 2009 Mobile World Congress in Barcelona, Spain. Indiagames is working on two versions of BioShock for mobile devices: a straightforward 3-D port of the original game, and... a 2-D rendition, believe it or not.